Leading you through divorce and mediation with honesty, compassion and integrity. Are you facing divorce or another family issue? Do you worry about how confrontational it can be? Are you seeking something more amicable? Are you concerned about what will happen to your children? I understand how difficult divorce can be. I want to make it easier for you. I am divorce attorney Jennifer Kirkhart Curcio. From my office in Gainesville, Florida, I am ready to lead you through this process from start to finish. My focus is on amicable, equitable solutions, but I am also not afraid to litigate if your situation demands it. No matter what, I will always be an advocate for the best interests of you and your family. I am dedicated to each and every one of my clients. You will always work directly with me, and I value your time and your money. We will work toward solutions that are cost-effective and in your best interest. Each client is different, and I will work hard to ensure the solution we enact is the one that works for you and your unique situation. I am available to help in uncontested divorce, contested divorce, collaborative divorce and mediation. Each of these processes has its advantages, and I will help you choose the approach that works best for you. Through it all, I want to keep all relationships intact as much as possible. Especially if you have children, having an amicable separation and maintaining those relationships will be easier and less stressful in the long run. I also handle all other family law matters, including child custody, child support, spousal support, paternity, domestic violence injunctions and pre- and postnuptial agreements. I am a trained and licensed family law mediator. I can be the neutral professional that helps you reach an agreement in your confidential mediation sessions. Divorce can be difficult, but I want to make it as stress-free as possible. With me on your side, you will have an advocate and experienced representative at every step who can lead you through whatever you will face. 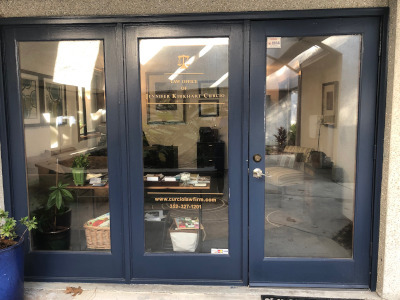 Schedule a consultation with me at the Law Office of Jennifer Kirkhart Curcio today by calling 352-505-2746 or sending an email.